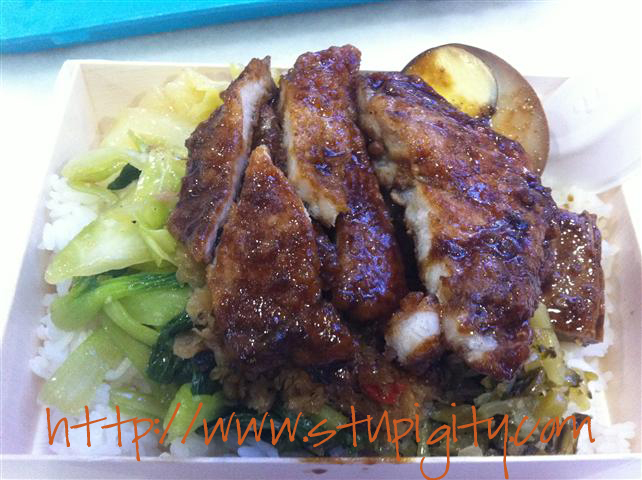 We decided to try this new Taiwanese Food Stall at Lau Pa Sat the other night. It's impressive that they use organic bento box instead of styro. Big plus points for loving Mother Earth. 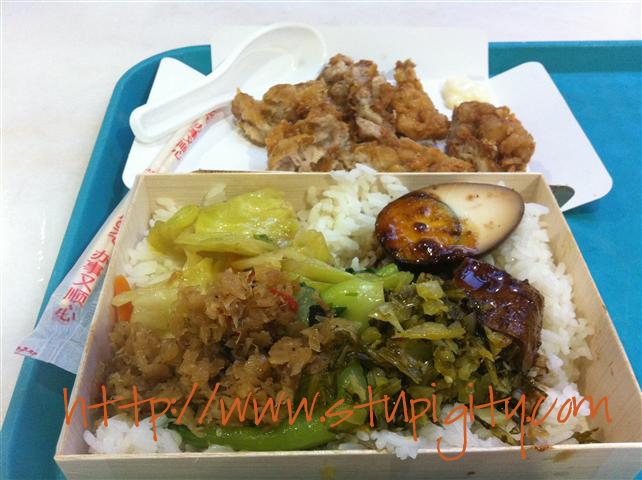 Huge serving and very affordable at around $5 per bento. Taste is not spectacular but is good enough. As my other friend says, "it can become part of the regulars" hehe.